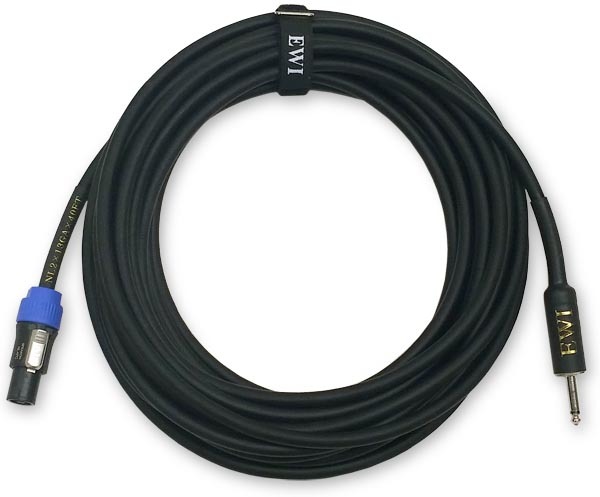 The EWI NL2TS Speakon®/Megafoot™ equipped 13 gauge by 2 conductor speaker cable is suitable for common full range speaker powering application. These cables are standard equipped with a genuine Neutrik NL4FC end wired to pins 1+ & 1- on one end and a genuine G&H Megafoot™ 1/4" TS on the other. 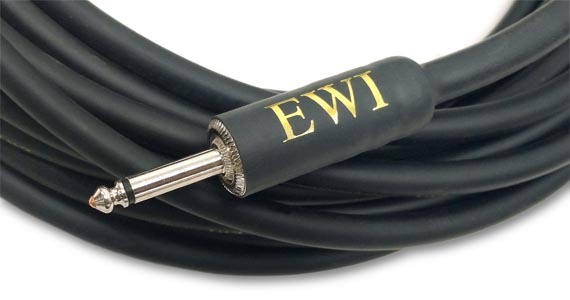 The cable stock is EWI NNS-1492 which is a 13ga. x 2 conductor fine stranded, high purity copper speaker cable. This cable lays and coils nice considering the good durability properties. 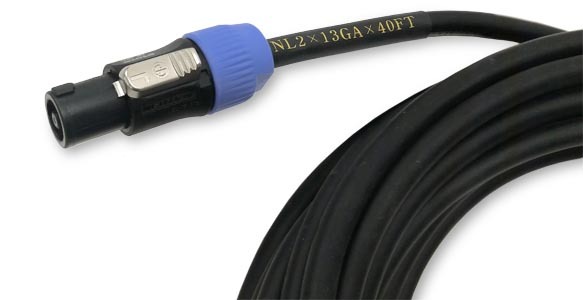 The NL4FC end is labeled with printed shrink tube as to the type of cable and length. The ends are genuine Neutrik NL4FC Speakon® and G&H Megafoot 1/4". The connectors are assembled with an eye to detail and quality workmanship. NL2TS-5: 5 ft, 2 lbs. NL2TS-10: 10 ft, 3 lbs. NL2TS-15: 15 ft, 4 lbs. NL2TS-20: 20 ft, 4.5 lbs. NL2TS-25: 25 ft, 5 lbs. NL2TS-30: 30 ft, 6 lbs. NL2TS-40: 40 ft, 6.5 lbs. NL2TS-50: 50 ft, 7 lbs. NL2TS-75: 75 ft, 9 lbs. NL2TS-100: 100 ft, 11 lbs.